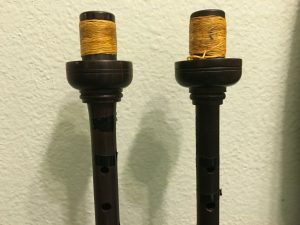 Chris Terry drones, Colin Kyo chanter with new Husk reed pitching at 473 Hz. Drone reed test. Tune is Fair Maid of Barra. I like the Canning! Low A – Ezee, Canning, Canning bass Ezee tenors, Xtreme bass Ezee tenors, Ezee bass Redwood tenors, Ezee, Kinnaird, Canning, Selbie. ezee – Ezee for reference. ezee-bass_redwood_tenors – Keep the current Ezee bass and add bigger tenors, the Redwoods. 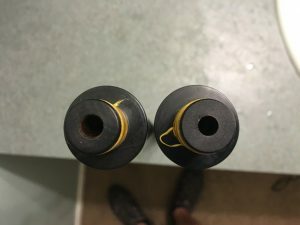 canning – I think this is a good bet to get a deeper tone. Canning carbon fiber basses are good at that with certain bass drones. canning-bass_ezee-tenors – If you just bought Canning carbon fiber bass but kept your Ezee tenors. xtreme-bass_ezee-tenors – The Xtreme bass is almost as bassy as the Canning. kinnaird – I dunno, I like the Canning. 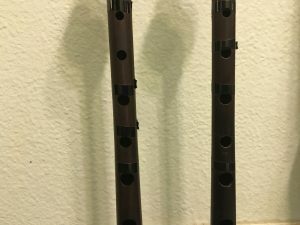 Fair Maid, The Big Yin, and Picnic in the Sky – Canning carbon fiber bass with Redwood tenors. CbRt-E-C-CbEt-XbEt-EbRt-E-K-C-S – Canning bass Redwood tenors, Ezee, Canning, Canning bass Ezee tenors, Xtreme bass Ezee tenors, Ezee bass Redwood tenors, Ezee, Kinnaird, Canning, Selbie. 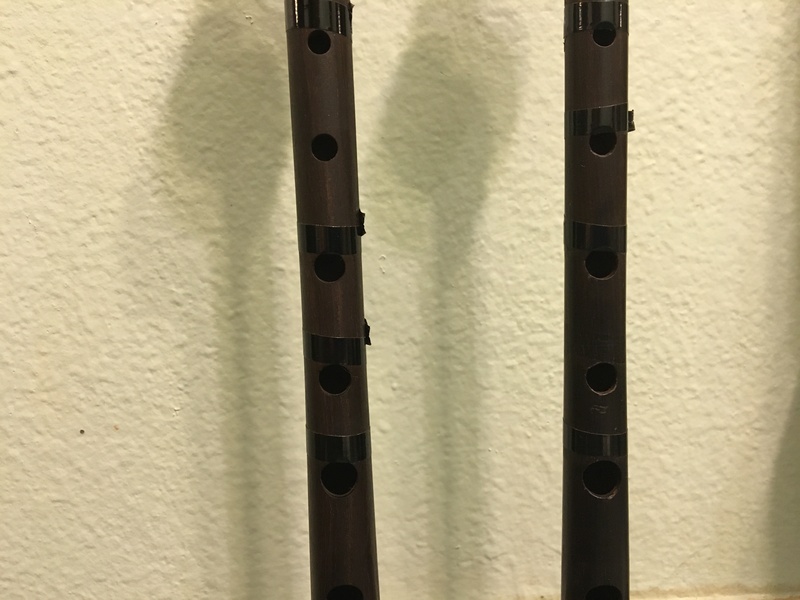 New chanter on the left, old chanter on the right. 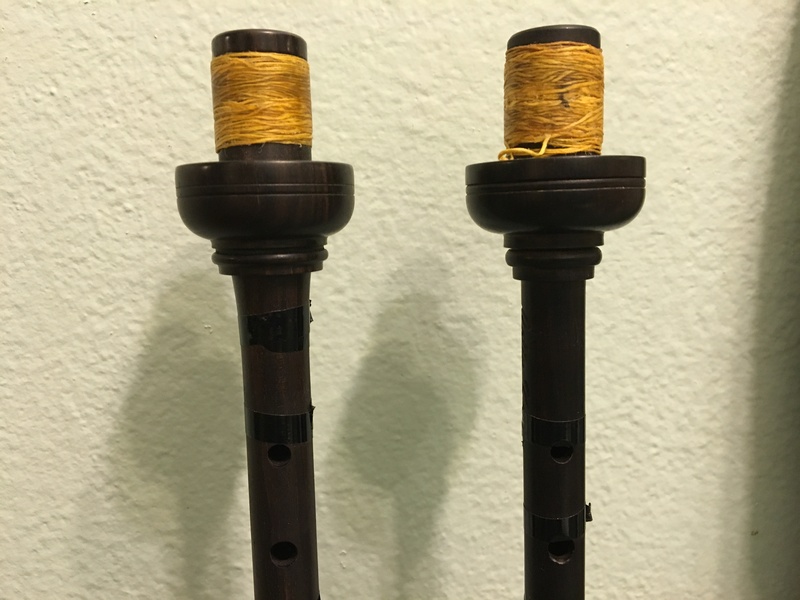 Bigger reed seat on the new chanters. Bigger throat detail on the new chanters. It looks like the holes are all the same. 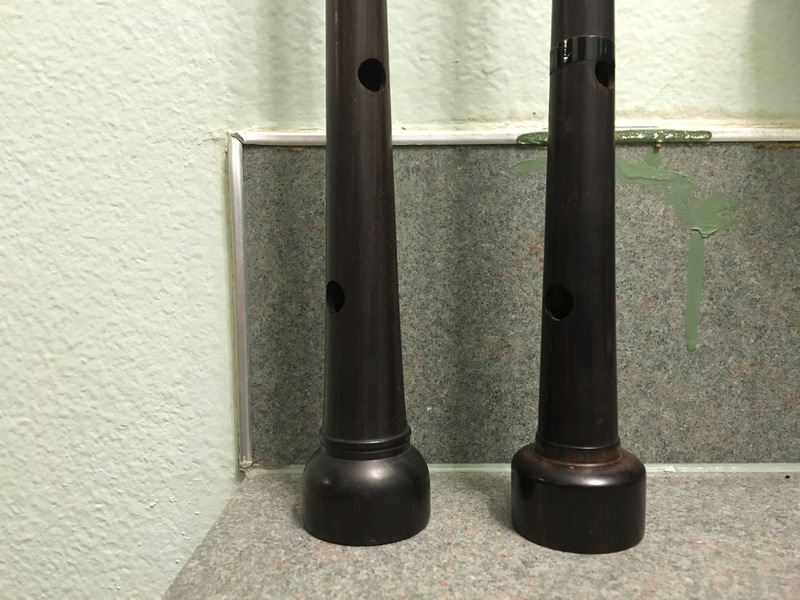 The foot has a rounder shape on the new chanters.